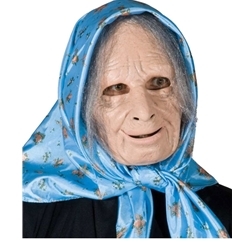 Create the look of an old lady for a fun Halloween costume or to trick your friends. The Nana the old lady mask is colored as pictured, however the scarf color may vary. Mask is one size fits most.